Known for their fluffy tail and long ears, deer are indeed one of the most gentle creatures you can see in the wild. These hoofed ruminant mammals are considered sacred and a messenger of God in many cultures because of their calm and graceful nature. In Nara Park, Japan, there are more than 1,000 native deer allowed to roam freely in the public park or even in the city because they are highly regarded as "national treasure and protected species". Just like any other animals, deer also get angry despite its pleasant nature. Recently, Soranews24 reported the increasing number of people who get injured year over year after interacting with deer in the said park. Statistically, there were 121 injuries in 2016, 186 in 2017, and 209 cases from April 2018 until January 31 of the current year. The park management confirmed that this is the highest number of injuries recorded where people suffered from hip fractures and bites -especially during mating season from September to November. With this, the Nara Park Deer Advisory Centre give notice to people not to tease or infuriate deer when feeding them. Most of the visitors tend to give deer some crackers but will take back repeatedly-which only triggers the animals to react aggressively. 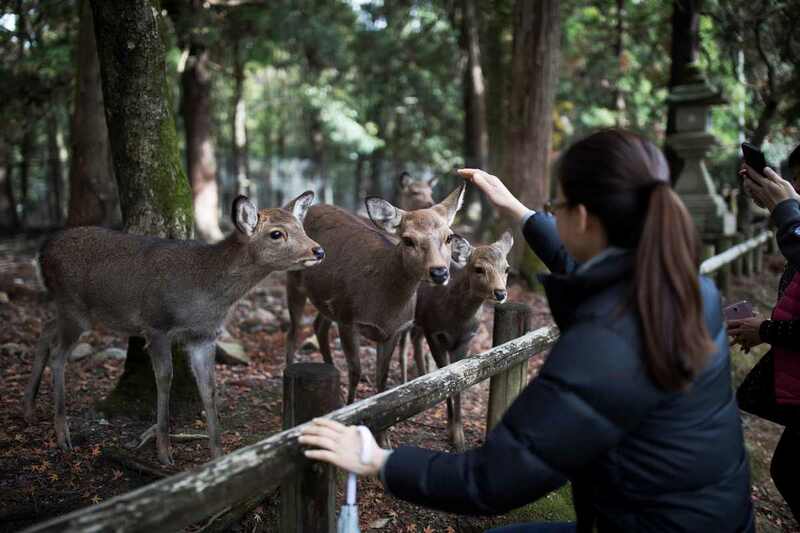 Because of the numerous incidents, officials of Nara Prefecture are doing their job to tame these deer and educate visitors by distributing palm-sized booklets. Every wildlife park offers a unique experience for you. And whether you're in Nara Park or in any other zoo, be reminded that animals will always react differently. If you truly care for them, then you should behave well and treat them with respect!